North Star Press of St. Cloud, 9781682010358, 184pp. On a windblown bluff above Lake Superior sits a fieldstone church. Founded one hundred years ago after a puzzling encounter with a flock of pelicans le?aves Lavinia with a curious notion, Pelican Church still draws inquisitive souls to its pews with the legend that one solitary bird still circles overhead, watching. These people have notions of their own -- a pastor’s wife wants a honeymoon, a professor has harebrained ideas, a business owner is in everyone’s face, a young actress can do or be anything onstage yet struggles with every real-life decision -- and their stories, tucked away for years, unfold and glide onto the pages of Donna Salli's intimate debut novel. 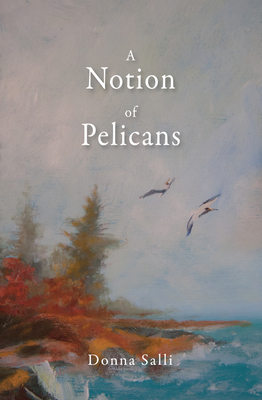 The people of Pelican Church are oh-so-human and expose their mix of shifting hopes and obsessions, protected infidelities, and notions gone awry as one October day swings from sun-up to sundown under the watchful gaze of a single pelican. Donna Salli is a native of Michigan's Upper Peninsula. She holds an MFA in creative writing from the University of Massachusetts, Amherst, and writes fiction, poetry, essays, and plays. She lives in Minnesota. Among her artistic interests are family, heritage, spirituality, and changing gender roles and other social issues. Visit her at www.donnasalli.com.